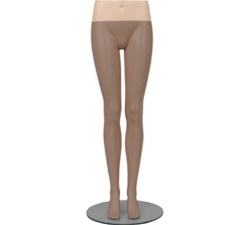 The Fleshtone Hip Block FOR Female Mannequin Legs (Legs not included) is a component of our Mannequin Systems. Create a mannequin by selecting a bust and legs with a base, then choose shoulder caps or one of three different pairs of arms. The System Mannequin Series is a revolutionary, component based approach to mannequin design. 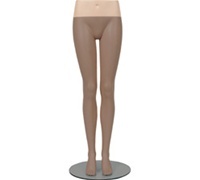 Use the female hip block when using female mannequin legs with a glass base to create a finished look.